From the clanging of bells to the whisper of burning incense, sound is essential to the worship experience. It follows that the acoustic environment is paramount in the sacred place – the worship space – and thoughtful design is required to achieve a worship experience full of awe and wonder. The first intentional sacred spaces were constructed over 11,000 years ago  and, although architectural acoustics design practices have changed immeasurably since then, the primary use of these spaces remains essentially unchanged: to provide a gathering space for communal worship. 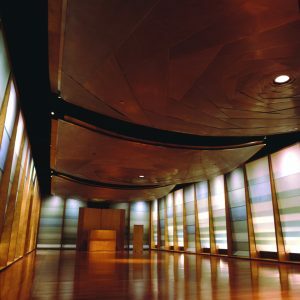 To meet this need, the four key acoustical goals that modern worship space designers must consider are to optimize reverberation time, eliminate acoustical defects, minimize ambient noise, and maximize dynamic range. 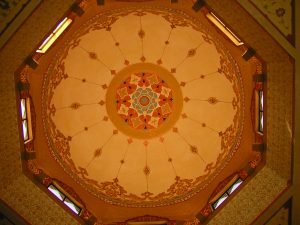 These four goals are imperative in virtually all types of worship spaces around the world, despite vast dif­ferences in religious practices and beliefs. In the recent publication, Worship Space Acous­tics: 3 Decades of Design , the application of these goals is seen in 67 churches, synagogues, mosques, and other worship spaces designed in the past thirty years. Each space and each religion has its own id­iosyncratic acoustic challenges, from a visually translucent but acoustically transparent partition required to separate men and women in an orthodox syna­gogue in Brookline, MA (Figure 1) to the attenuation of a focused acoustic reflection from the dome of a mosque in Atlanta, GA (Figure 2). 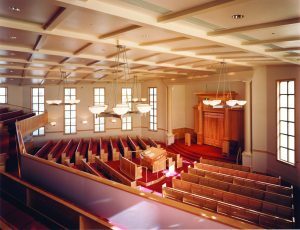 One space featured in the book, Temple Israel (Figure 3), shows the connectedness of acoustical design in worship spaces. It is part of a special project, the Tri-Faith Initiative, a 14-acre complex in Omaha, NE uniting three Abrahamic faith groups, Temple Israel, Countryside Community Church (United Church of Christ), and The American Muslim Institute. As each of these three worship spaces is constructed on the site, they all must have the four key acoustical goals considered. 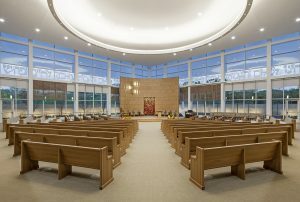 In the past three decades, worship spaces have seen an increased need for multi-functionality, often hosting religious services with varying acoustical needs. 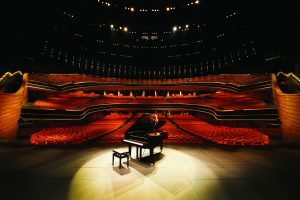 For example, the Star Performing Arts Centre (Figure 4) in Singapore serves as the home of the New Creation Church, seats 5000 people, and supports programing ranging from traditional worship services to pop music concerts to televised national events. Some spaces must even serve more than one religion, such as the Sacred Space (Figure 5), a multi-faith house of worship constructed in the shell of an old Boston chapel that caught fire in the mid-90s, now used for meditation, private worship, and small gatherings. These varying usage requirements require careful consideration of the acoustic design, often relying on variable acoustics such as retractable sound absorption and the use of sophisticated electroacoustics systems. 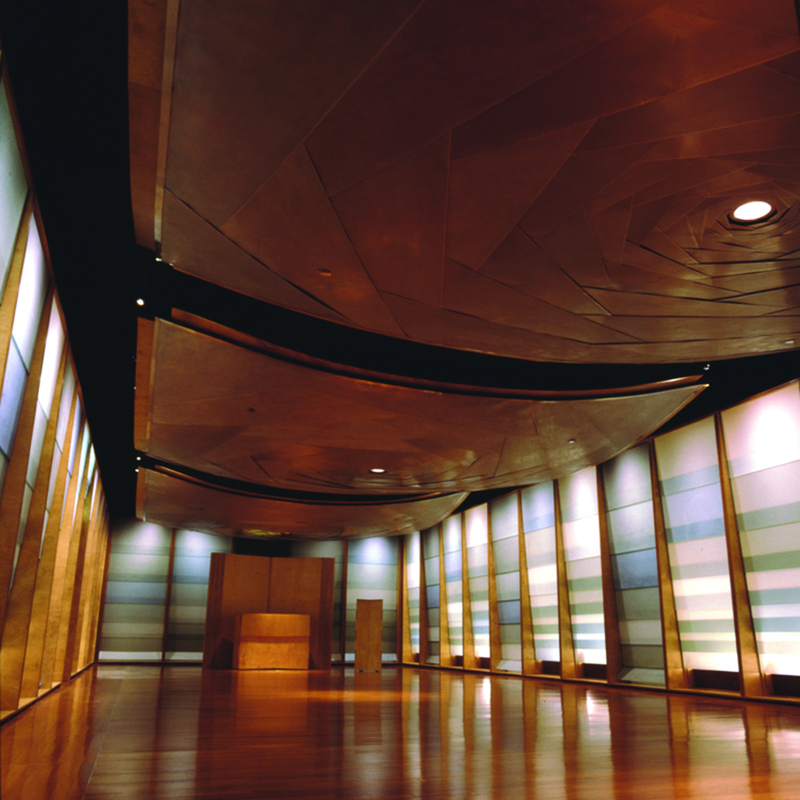 Although the use of each space may vary, the most important acoustic goal remains to optimize the reverberation time. This is the time necessary for sound in a space to decay to one-millionth of its original intensity. Essentially, it describes how the sound energy decays, perceived as the fading away of sound over time. Typically, reverberation time decreases as more sound absorption is added, and increases as the size of the space increases. Figure 6 shows the mean reverberation times (500 Hz) for the various seating capacities of the 67 worship spaces. Seating capacity is generally directly proportional to size of the space, and the reverberation times here show the general trend of increasing with increasing size up to about 2000 seats. For 2000 seats and beyond, the data show a marked decrease in reverberation time. For these larger spaces, there tends to be a higher proportion of sound absorbing material used in the design, typically to allow for the use of electroacoustics systems that require a large number of loudspeakers. Spaces that rely heavily on electroacoustics to achieve the desired sonic environment require non-reflective surfaces and lower reverberation times for the microphone-loudspeaker systems to work properly. Regardless of reverberation time, the goal remains the same, to create a gathering space for worship where the sound is sacred. K. Schmidt, “Göbekli Tepe, Southeastern Turkey: A Preliminary Report on the 1995-1999 Excavations,” Paléorient, 26(1), 45-54, 2000. D. T. Bradley, E. E. Ryherd, and L. Ronsse (Eds. ), Worship Spaces Acoustics: 3 Decades of Design, (New York, NY, Springer, 2016). 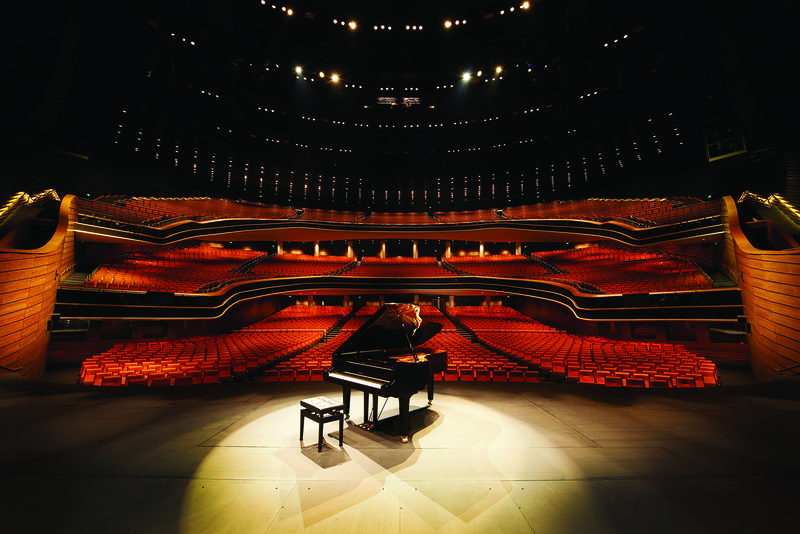 Figure 4: The Star Performing Arts Centre, a 5000-seat multi-use space in Singapore designed by Arup (completed as Artec) and Andrew Bromberg of Aedas. 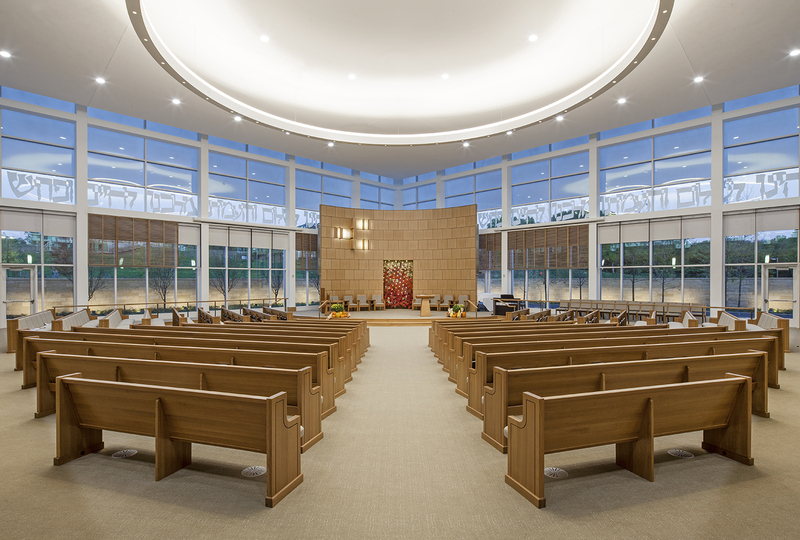 Figure 5: The Sacred Space, 150-seat multifaith house of worship in Boston, MA designed by Acentech Incorporated and Office dA. 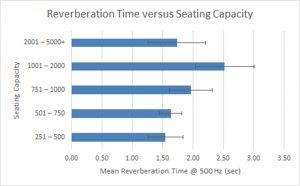 Figure 6: Mean reverberation times at 500 Hz octave band center frequency for 67 worship spaces of varying seating capacity.